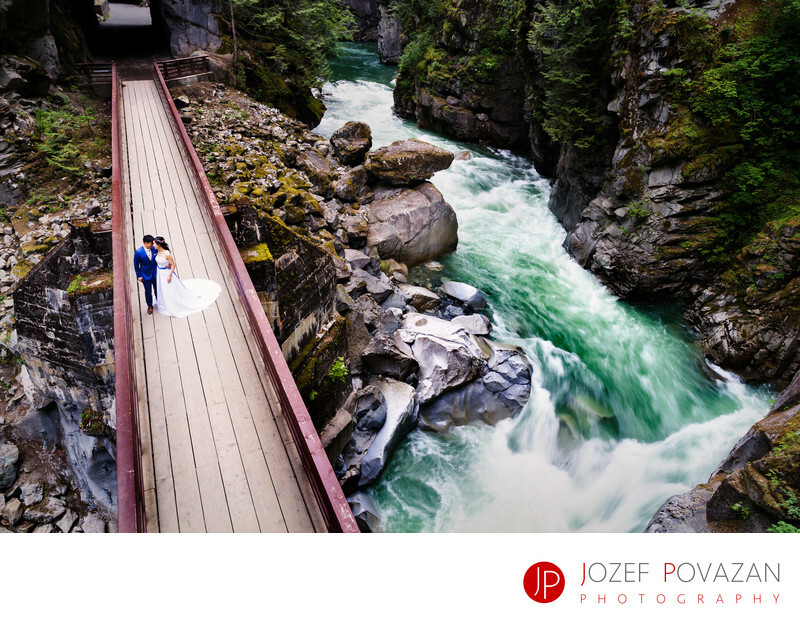 Othello Tunnels Wedding Bride Groom Photography in Wild - Best Vancouver wedding photographer Jozef Povazan Photography studio. Othello Tunnels Wedding Bride Groom Photography in Wild Canyon photographed by Vancouver photographer Jozef Povazan. Different, bold, creative pictures which create amazing stories in your wedding album. Everlasting memories you and your loved one will love forever. Timeless experience your children will appreciate when they see you in love hug you shared together. Epic and striking moments captured very artistic way for you to enjoy. Nature and beauty showed how I see wedding photography direction in future and how I love to shape the light to create it for you. If you like modern and unique wedding pictures then I would like to hear your ideas for you wedding celebration. Amazing locations are great but your personal story is way stronger for me since it is about people who live it. My name is Jozef Povazan and I love photograph people and their lives very untraditional way. Thank you for stopping by. Cheers. Location: Othello Tunnels, Othello, Hope, BC, Canada.